Last weekend’s NTFL matches tossed up four big wins for Round 2, with the Darwin Buffaloes, Southern Districts Crocs, Waratah and Nightcliff on the winners list and each building early percentage buffers. At the other end of the scale, both St Mary’s and the Tiwi Bombers lost their second matches of the season and have already put themselves under pressure. 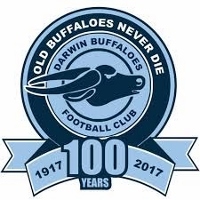 The Darwin Buffaloes kicked seven final quarter goals to one against Wanderers to run away with their match at TIO Stadium. Trailing by the first change, the Buffaloes fought back to lead by two goals at the main break. That momentum carried into the second half as the Buffaloes charged away to a strong 52-point victory. Star recruit – former North Melbourne and Port Adelaide player, Lindsay Thomas - kicked three goals for the Buffaloes. Earlier in the evening, Waratah proved far too good for the Tiwi Bombers. Leading at every change, the Waratah crew extended their lead all night, never allowing the Bombers to get any rhythm. In the end, Waratah ran out impressive 74-point victors. Lachlan Collihole kicked five goals for Waratah, whilst Dion Munkara booted three for the Bombers. Young Bomber, Travis Tambling, impressed in his first game of the season as the Bombers look to youth. The middle game at TIO Stadium saw the St Mary’s team take the game right up to Southern Districts. Leading at quarter-time and by a point at half-time, it looked like a match that could go to the wire. However, after the main break, Southern Districts shook off the cobwebs and ran riot. They kicked 15 goals to three in the second half and looked ominous in their title defence as well as making St Mary’s look worryingly outclassed. In the end, the Crocs won by 69 points. Sunday’s game saw the Nightcliff Tigers up against a confident Palmerston Magpies, on a roll after their first round win. But it didn’t take long for the Tigers to put the Magpies in their place. A five goal to nil opening term by the Tigers set the tone and the Magpies just couldn’t hold back the tide. A seven goal final quarter by the Tigers blew the result out to 85 points. Trent Melville kicked five for the Tigers whilst Jesse Marshall and Ezekiel Frank kicked two each for the Magpies. The ladder sees the Tigers and Crocs undefeated in first and second places respectively. Waratah, Buffaloes and Wanderers round out the top five with a win each ahead of sixth placed Palmerston. The Tiwi Bombers are seventh with Saints on the bottom and work to do. Round 3 will see the Crocs take on the Bombers. Wanderers will meet Saints and Palmerston clash with the Darwin Buffaloes, all at TIO Stadium. Sunday’s match will see Waratah host Nightcliff at Gardens Oval.